What if I told you there are places so warm that you’ll forget how it feels to be cold? The world literally bursts with hot places. Some of them are bustling cities that attract thousands of visitors, while others are remote thanks to the extremely high temperatures. I will present to you the ten warmest destinations on Earth where you can feel the sizzling heat. With the summer almost ending, you’re definitely nostalgic. Whether it’s about the high temperatures, the wonderful memories on the sand, and the sun or the long days, short nights, and the tanning, summer is truly a spectacular season. These places actually take summer to a whole new level. The traveling destinations we’ll talk about test people’s durability in the hot and break every possible warmth-related record. Some experts say that the hottest place on Earth is a bit difficult to discover. And here is why. The deserts like the Sonoran, the Sahara, the Lut, the Gobi and the likes aren’t practical for everyday maintaining and measurements. Thus, the temperature there isn’t measured by ground-installed instruments. In fact, several of the warmest destinations have been running for the top spot. Understandably, the biggest amount of warmest places is found in the Middle East and in Africa. Kuwait or Ahwaz, for one, can reach a stellar temperature of almost 47 °C (116 °F). That’s seriously hot. And these temperatures can sometimes stay in the months after August. People there surely have as many air conditioners as Brits have umbrellas. So if you’re a fan of the hot and you despise winter, then these are the traveling destinations just for you. Remember that if you plan to go there, you should take a lot of T-shirts and shorts with you as well as other short-sleeved tops. They don’t call them the warmest destinations in vain, right? Water bottles should always have a spot around you – in your pocket, your rucksack, suitcase or hand. It is said that humidity is actually the one which makes it unbearable for the visitors. So you should watch out that the places you travel to are dry as well as hot. Here comes the heat! I give you the ten warmest destinations on the planet, so get some handkerchiefs to wipe off the sweat. Kuwait City, Kuwait – The deserts on the Arabian Peninsula, along the Persian Gulf to be more precise, are known for the soaring temperatures. But Kuwait City distinguishes itself from the others. 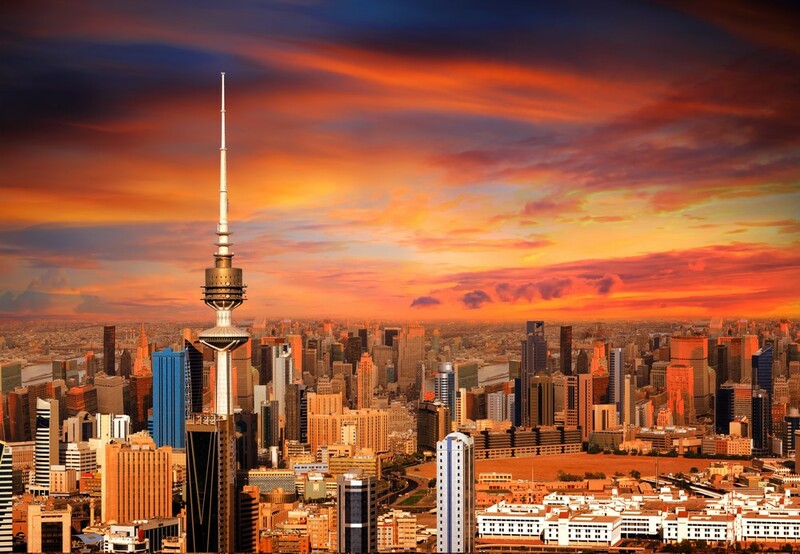 Situated close to the head of the Gulf, it’s a huge economic, cultural, and political center of the country Kuwait. Around 4 million people live in this metropolitan area that goes into the desert. 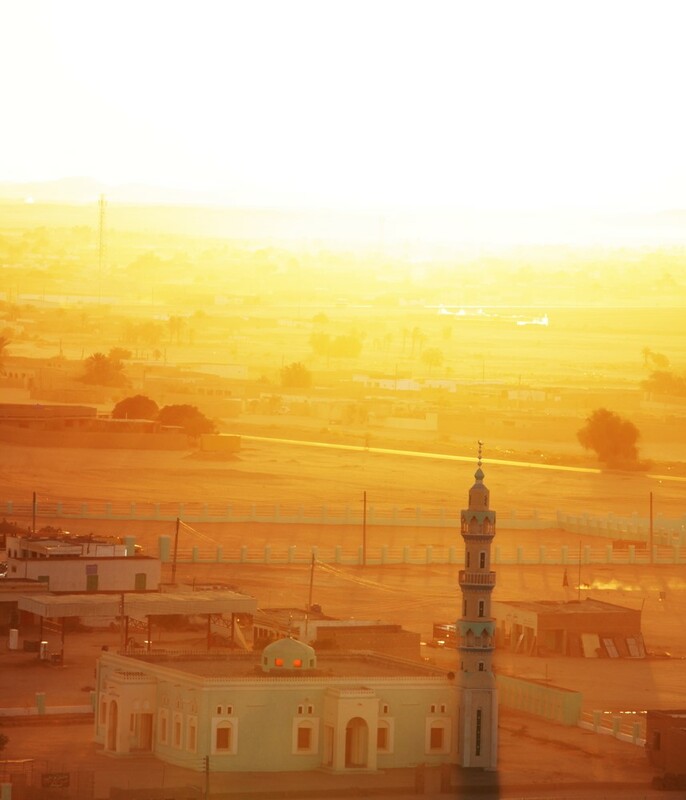 The hot desert climate makes for one of the hottest summers in the world, going above the average of other countries. August is definitely the warmest month when the night doesn’t really cool down. However, the good news is that the temperatures can often climb down in November. 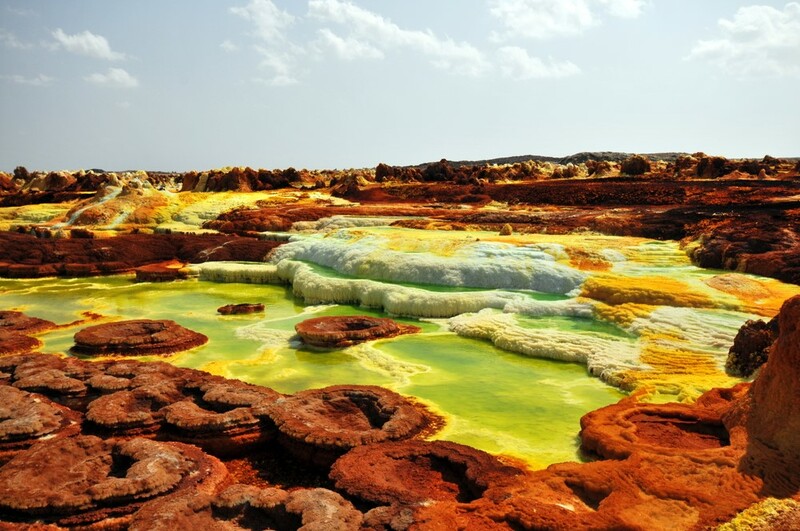 Dallol, Ethiopia – This spot in Ethiopia is found almost on all ‘warmest destinations’ lists. That is because the place in Ethiopia’s Afar region is the current record-holder for the highest average annual temperature. Recorded in the 60s, Dallol averaged around 34 °C (94 °F), which is seriously hot for an average temperature. This temperature more or less stays throughout the year, going slightly up and down. So, there is no escaping the heat there. Once a bustling mining site, now the town of Dallol is an abandoned ghost place. Its attractions are the hot springs which have amazing bright toxic colors. What is more, the region in which Dallol is situated is an active volcanic one, so heat is coming out of everywhere. Some also say that it’s the cruelest place in the world! 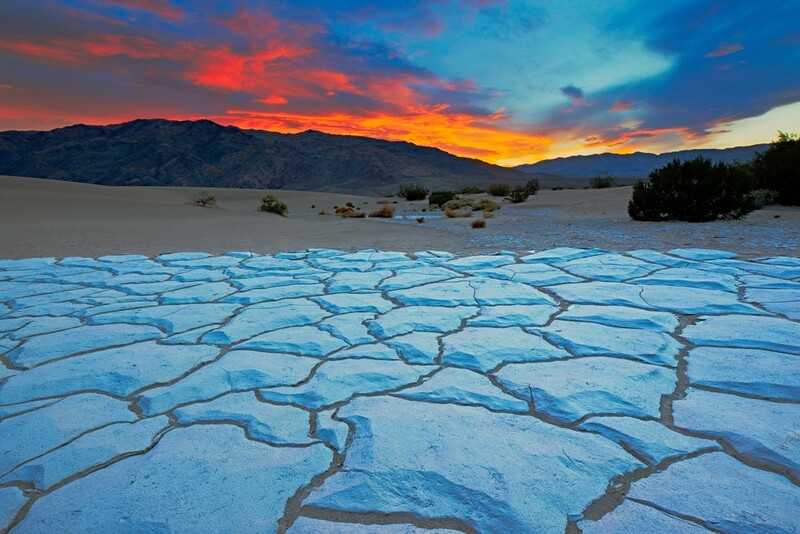 Death Valley, California, USA – This famous American landmark is found in the Mojave Desert in the state California. It’s the hottest, lowest, and driest area in the States. And it belongs among the record-breaking warmest places on the planet. 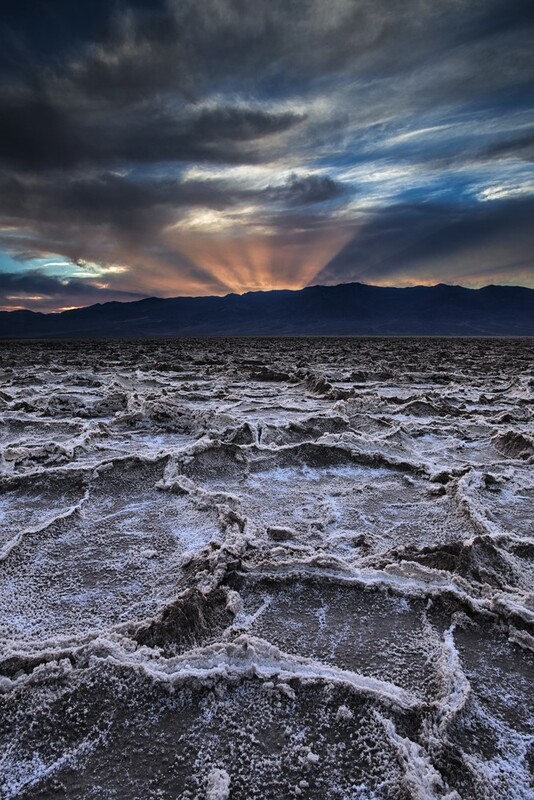 According to the World Meteorological Organization, Death Valley has the highest temperature ever directly recorded. You might think that nothing lives there and that everything is barren. Surprisingly, you can encounter some lynxes, rodents, and kit foxes running about in the night. If by any chance rain falls, wildflowers emerge. The park is also the home of the mysterious moving rocks which remain an unexplained phenomenon. Understandably, the temperatures are stellar high during the day, but at night they can drop significantly. 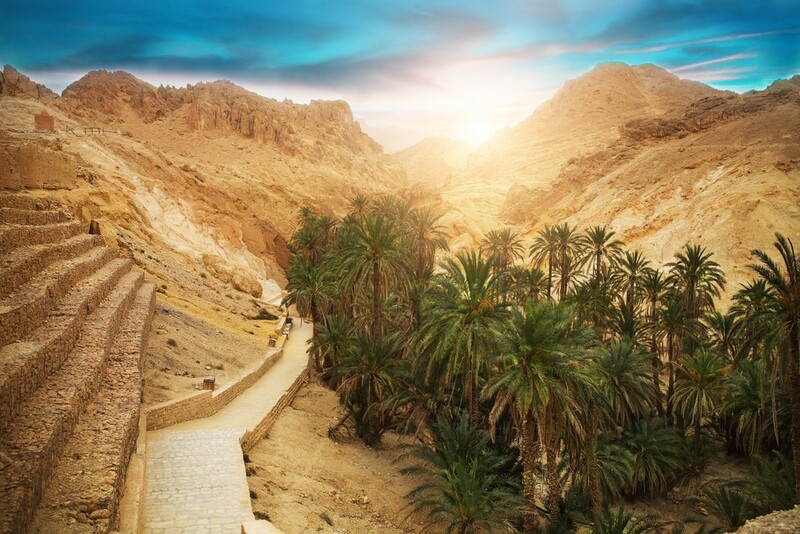 Kebili, Tunisia – Another African country with boiling weather is Tunisia. Ironically, Kebili is an oasis in the heart of Tunisia and yet there the mercury in the thermometer goes up. People visit it to cool down under the palms and there is also plenty of water. The town is very picturesque and a lesson in history all on its own. So despite some of the highest, record-breaking temperatures in Africa, it’s worth a visit. There are even signs that it was peopled since 200.000 years ago. It’s known for the spectacular dates as well. The Flaming Mountains, China – Situated in China’s Xinjiang, the Flaming Mountains can be found in the Tian Shan Mountain range. You may wonder how they got their cool name. Firstly, it may be because the eroded gullies in the red bedrock look like flames. Then, they’re scorchingly hot. Actually, there isn’t a weather station there to measure the exact temperatures. But NASA’s satellite recorded one of the highest temperatures ever on Earth. That justifies the fact that these mountains belong to the warmest destinations across the globe. In 2008, the year this took place, it was the Earth’s hottest measurement. 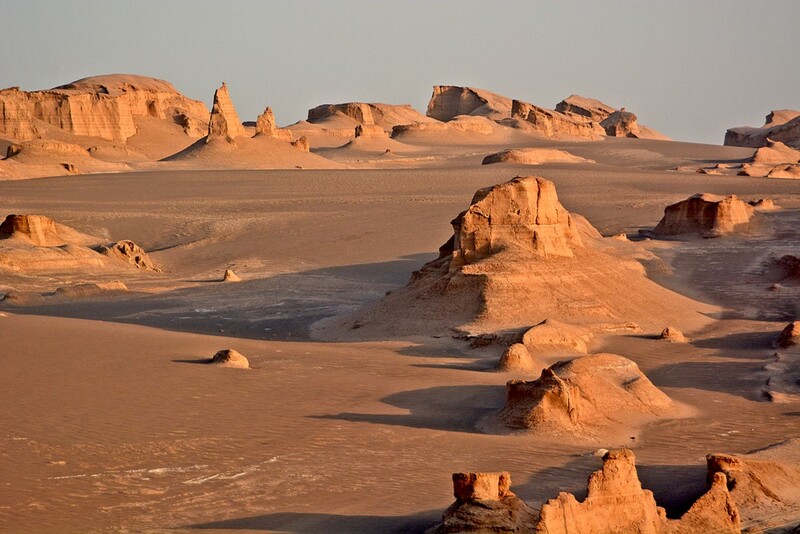 Lut Desert, Iran – The king among the warmest destinations on the planet is none other than Dasht-e Lut or Lut Desert in Iran. It’s so desolate and unimaginably boiling that even bacterias can’t live there. Understandably, there isn’t even a weather station to monitor the heat. This is where NASA’s satellite pops in again. 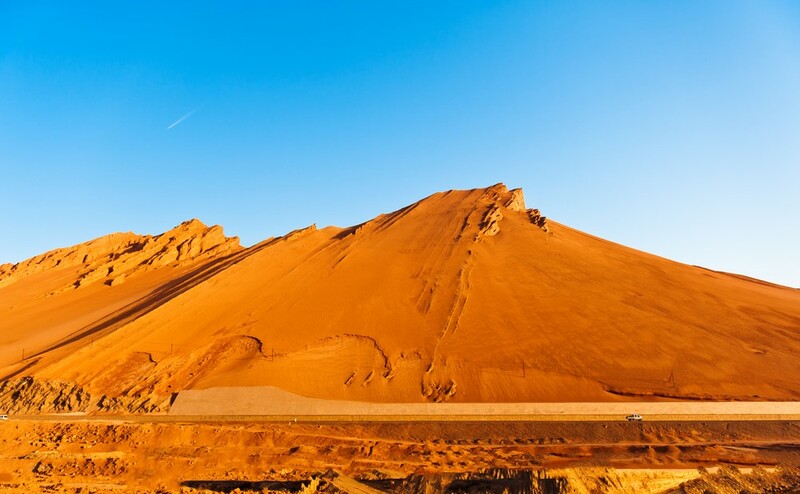 In a study that lasted seven years, it was found out that Lut Desert had the highest so-called ‘land skin temperature’ ever. And wait until you hear the exact temperature! 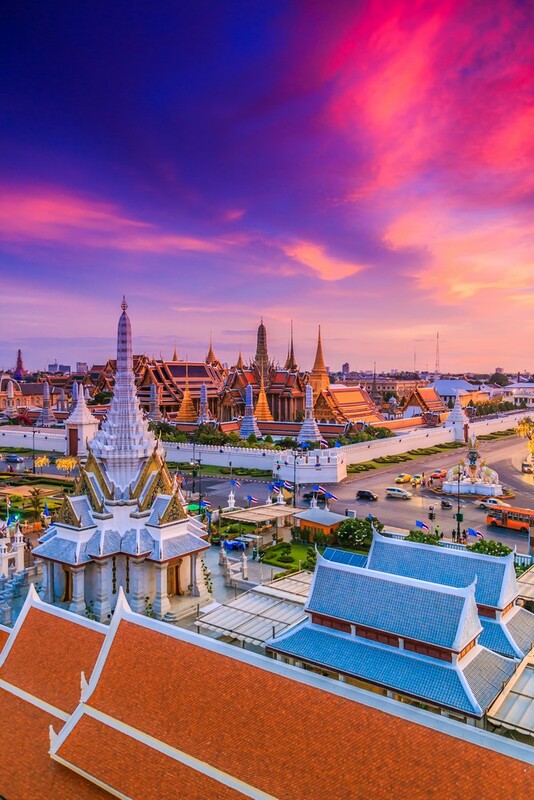 Bangkok, Thailand – One of the hottest cities on the planet must naturally find its place among the warmest destinations for traveling as well. The temperatures aren’t as high as in some previously-mentioned deserts. But the difference is that they remain constantly without giving the people rest. The spring months from March until May are by far the hottest with around 35 °C which brings a humidity of 90 percent. The humidity is probably Bangkok‘s biggest enemy when talking about the intense heat throughout the year. The temperatures in winter (the end of December and beginning of January) are apt to go down but only for a bit. And the nights in the smoggy city aren’t an exception because the humidity stays all year. 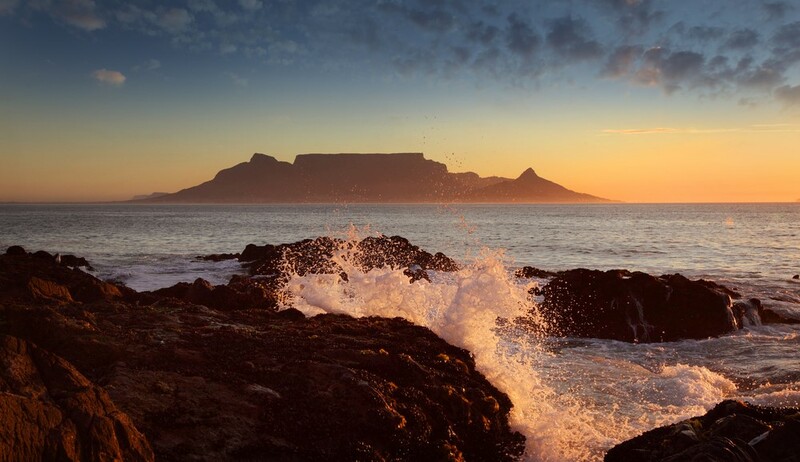 Cape Town, South Africa – When you think of Cape Town, you think of amazing food, the harbor, the culture, the Table Mountain and a hundred other trademark things. And here is another fact connected to the capital we all know and love. In 2015 it got the title of the hottest city in the world. The decision was made when Cape Town Weather Services measured a stellar number of 42 °C. It was the city’s highest temperature in a century! Wadi Halfa, Sudan – The region of Lake Nasser in Sudan is home to another of the warmest destinations in the world. This time, it’s Wadi Halfa’s turn, famous for the haboobs (intense dust storms) sweeping the place. The extraordinarily high heat index once again proved that Wadi Halfa is a force to be reckoned with when it comes to boiling weather. Recently the city on the border with Egypt was faced with a huge heat wave. And that heat wave brought record-breaking readings for the area. 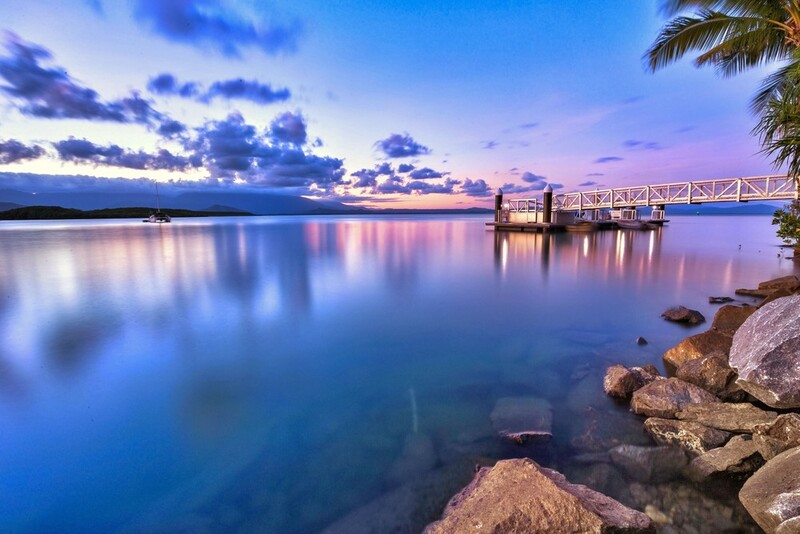 Queensland, Australia – Located in Australia’s northeastern part, Queensland boasts with one of the highest temperatures. Besides the Great Barrier Reef, the state’s capital Brisbane, the beaches, and the rainforests, the heat is definitely a landmark. Some say that the mercury can climb up to 68.9 °C (156 °F), which is definitely a record for the continent.